Oh, the thrill of attending a good old-fashioned ballgame. Whether it’s little league, soccer, softball, football or professional baseball, everyone loves to be a spectator. However, the spectator experience can be diminished if the temperature outside reaches over 85 degrees. When attending a sporting event, fans want to focus on the game being played, not the temperature outside. On hot days, nothing can be more uncomfortable than sitting in a stadium being burned by the sun. It’s important for patrons, and especially small children with young, sensitive skin, to protect themselves from extended sun exposure. As we all know, a little exposure to the sun is good. After all, the sun is a primary source of vitamin D, which helps our bones. But prolonged periods of time in the sun can lead to skin damage, eye damage, immune system suppression and skin cancer. Protecting our skin when outdoors on sunny days should always be our number one priority. Aside from an air-conditioned outdoor stadium (the impossible!) every onlooker wants a little bit of shade. Being safe from the scorching sun and comfortable during an outdoor sporting event makes the whole experience worthwhile. 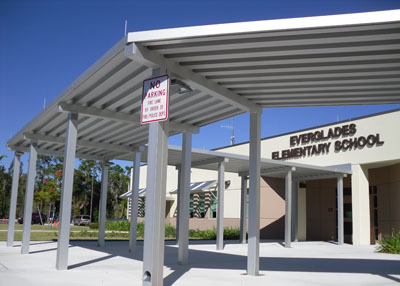 Perfection Architectural Systems builds custom aluminum sunshades that reduce heat gain by providing shade to block the sun’s harmful UV rays. 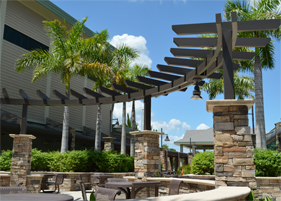 Sunshades are aesthetically pleasing and can be built to match the design and style of any structure. Perfection sunshades are also cost effective, depending on the custom specifications chosen. 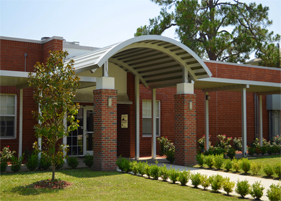 Our sunshades are made with aluminum, which makes them easy to install, maintain and remove. 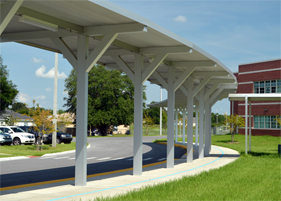 Because aluminum is 99 percent recyclable, you can feel good knowing you’re helping the environment as well as providing much-needed shade for your customers. 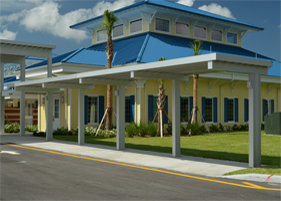 Call us today at (407) 671-6225, and we can help you design and select the perfect aluminum sunshades for your outdoor sports stadium.